Would you like to attend the upcoming Superior Court Boot Camp in the fall? Please email us at info@pincusproed.com and we will send you a special invitation and coupon once the program dates have been scheduled. Pincus Professional Education has been putting on its annual California Superior Court Boot Camps for thirteen years for a reason – they are just that good. In fact, they are just that great. Year after year we invite some of the same speakers back because their ratings are so good and attendees learn so much from them. This dynamic and information-packed audio recording will teach you all about practicing in California State Court. It will also teach you what need to know to be a successful litigator in any court. Make sure you look at the “Testimonials” Tab (see tabs above) to read about what attendees have said in the past. The seminar is taught by many sitting and recently retired judges and will give you great insight from the bench – you can’t get that perspective anywhere else. We also have plaintiff and defense attorneys from large and small firms and solos, to make sure you get a variety of perspectives on each topic. This really is a course you cannot miss if you are new to litigation or want a refresher. In this recording, your faculty will provide advice and tips regarding your complaints and answers, suggest strategies to create your case themes, and will walk you through the timelines, rules and suggestions related to discovery and e-discovery. They will then move on to deposition techniques – rules, timelines and advice. Who should you depose? How do you prepare? What does the state require in terms of notice and deadlines? The session was capped off with a discussion about motions – to dismiss, for summary judgment, ex parte applications, continuances, reconsideration and others. You’ll learn about when to do them, how to do them and when not to do them. You’ll also get tips on how to write them, and tips from judges regarding what they find persuasive in briefs and what just doesn’t cut it. In the afternoon portion of the recording, you’ll hear a few tips about how to give a great oral argument, then you’ll learn about all of the components of your trial, from the Final Status Conference, to your trial outline and Motions in Limine. Your faculty will provide you with advice and insight to help you deal with your juries: voir dire, jury selection, instructions and verdict form pitfalls. And then you’ll hear about your trial – getting evidence admitted, the direct and cross examinations and objections. The program ends with a very quick mention of Post-Trial Motions and Judgments. This audio recording is a great program for beginning to intermediate attorneys or attorneys wanting to get the court’s perspective on effective litigation techniques. If you are looking for a more advanced course on specific topics, like depositions or jury selection, do a quick search in the right bar for those courses as this is not an advanced course. The entire seminar is designed to teach you not only what you must do, but also how to do it. The faculty also helps you understand common or easily made mistakes and how to avoid them. This program covers a lot of ground in a short amount of time, so come prepared to learn and to take a lot of notes! And the seminar handbook is usually 200 – 300 pages, chock full of outlines and samples for your reference. You also receive a downloadable link with outlines and samples provided during past Superior Court Boot Camps for the past few years. This program is an invaluable resource that will help guide you through your cases and ensure your success. Who should purchase the Audio Package? Newer attorneys and those new to litigation. Just graduated law school? – can’t miss it. You don’t get these skills and this practical advice in law school. Has it been a bit since you’ve been in the courtroom or written a motion? This one’s for you as well. “My personal objectives were completely satisfied – I left feeling like I had several new ideas and tools I could apply to my work immediately.” Sally Mielke, Esq. “Excellent overview of civil litigation from filing of complaint through post-judgment appeal. The speakers were engaging, informative, and even entertaining!” – Brendan Malone, Esq. “This program gave a great overview of the different stages of litigation in a short amount of time.” – Heidi Kim, Esq. CD and Download formats are available. “Good information on a wide area of topics. Panel provided broad brush overview of each topic while also focusing on key specifics and practice tips.” – Joseph Seltzer, Esq. “Great content and practical tips.” – Lori Liu, Esq. “I like the fact that practitioners and judges were exchanging ideas.” – Rouzbeh Zarrinbakhsh, Esq. “Very entertaining and lots of practical advice.” – Kate Juvinall, Esq. “My firm asked me to attend. Glad that I did” – Oliver Pfost, Esq. “The speakers were good.” – Aleks Giragosian, Esq. “Good, practical tips.” – Tiffany Truong, Esq. “Thorough.” – Alexander Wallin, Esq. “Amazing course!” – Nicholas Lansdown, Esq. 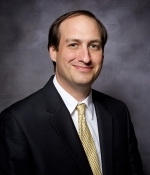 “Great sharing of invaluable experiences.” – John Quiring, Esq. “I was pleased to hear the practical viewpoints, both from a practitioner’s viewpoint and from the bench…A very informative program…I would recommend this program to any newbie like myself.” – Shawheen Shafizadeh, Esq. “Program is a good bird’s-eye view of litigation.” – Silviana Dumitrescu, Esq. “Comprehensive review…Excellent speakers…Great program. Very helpful information and format.” – Melissa Murphy, Esq. “Very thorough!” – Jason Benkner, Esq. “Judge Raphael had great insights and advice; learned something new – ‘informal discovery request’ and requesting continuance prior to summary judgment.” – Jamie Lee, Esq. “Very informative to bridge the gap for new attorneys. This was exactly what I needed to get an overview of litigation.” – Donald Le, Esq. “I enjoyed all the speakers…the afternoon session was my favorite.” – Dana Udi, Esq. “Judges Cho and Hopp were my favorites. I enjoyed listening to this discussion.” – Ricardo Merluza, Esq. “Great program. I truly appreciated the practical points offered by the presenters. I enjoyed the program very much and will recommend it to fellow attorneys. The thing that I liked the most is that the presenters did not re-read the handouts, but rather provided precious, practical-experience advice and tips.” – Boryana Arsova, Esq. “A great, comprehensive overview of motion and trial practice…Great insight from the judge.” – Anna Mezhebovskaya, Esq. “Very well organized. Appreciated that it was not mired in technical statute recitation and was instead a more broad overview…overall, excellent program for inexperienced attorneys like myself.” – Kevin Miller, Esq. “Informative and good written materials…Great work, everyone!” – Eli Flushman, Esq. “The interactive comments in the afternoon were very good…Thanks for the program. For 7.5 hours, it was very good.” – Robert Goldman, Esq. “Thanks! Great program. I enjoyed it.” – Sarah Castelhano, Esq. “The course helped to reinforce what I learned at my prior firm.” – Cleve Collado, Esq. “Well done, organized, great personal stories in court, and great advice.” Jonathan Kantor, Esq. “Learned a lot. Many different topics were covered. Good reference material for future use.” – Natalya Samsonova, Esq. “Very practical and specific.” – Kathleen Bricken, Esq. “Very satisfied. Took away a lot of excellent recommendations that I will apply in my practice.” – Raychele Sterling, Esq. “Information and materials were very detailed and easy to follow. Perfect for new attorneys without experience and experienced needing refresher.” – Sanaz Bereliani, Esq. “Although, I’ve practiced nearly 30 years in other states, this course was very helpful given my recent licensure in CA. I highly recommend it for the transferring lawyer.” – James A. Morris, Jr., Esq. “I wanted an overview from beginning to end and that’s exactly what we got.” – Griselda Rodriguez, Esq. “Well done. Well planned. Great topics.” – Mike Voigt, Esq. “Overall, great experience. This was my first superior court bootcamp, so all information was relevant and interesting. “All speakers had strong knowledge of the material they were presenting.” – Carlos Portillo, Esq. “This was a great overview of the litigation process.” – Joshua R. Driskell, Esq. “It was a great program. I really learned a lot.” – Teressa Libutti, Esq. “Overview of civil procedure in all presentations was informative.” – Afret Canchan, Esq. “It was very good.” – Chris Moody, Esq. “This was a very nice overview of trial prep that boosted my confidence as I prep for my trial.” – Nicholas Colla, Esq. “All speakers had strong knowledge of the material they were presenting.” – Carlos Portillo, Esq. “I learned a great deal about Superior Court practice.” – Victor Leving, Esq. “Covered a wide range of topics…great materials.” – Nicole Fassonaki, Esq. “Fabulous!” – Sharvonne R. Sulzle, Esq. “Great speakers!” – Adam Wentland, Esq. “I enjoyed the program.” – Indoo Desai, Esq. ”Fantastic program. I’m in my 3rd year of practice and it was the perfect timing for this program.” – Alison Karp, Esq. “Great explanation of the law and examples by practitioners clearly versed on the topics presented really helped me understand the applicability of the subject matter.” – Rahman Gerren, Esq. The Honorable Lawrence H. Cho is the son of Chinese immigrants and was born and raised in the New York/New Jersey area. After graduating Rutgers College in 1984 with a major in Economics, he attended Rutgers Law School-Newark and obtained his J.D. in 1987. Following graduation, he came to Los Angeles to serve as a law clerk on the U.S. District Court to the Honorable Manuel L. Real of the Central District of California. Following his clerkship, Judge Cho returned to New York to join the Wall Street firm of Cravath, Swaine & Moore as a litigation associate. Judge Cho returned to Los Angeles in 1990 to join the United States Attorney’s Office as a federal prosecutor. Over the next 15 years, Judge Cho was appointed to many important roles including training new federal prosecutors as the Chief of the General Crimes unit, Chief of the Organized Crime Strike Force, and following September 11, 2001, led the then newly formed Terrorism and Organized Crime Section. From 2003 to 2005, Judge Cho was appointed to serve in Washington D.C. as the Deputy Chief of the Counterterrorism Section at the U.S. Department of Justice. Judge Cho was appointed to the Los Angeles County Superior Court in June 2005 by Governor Arnold Schwarzenegger. Since that time, he has enjoyed criminal and civil assignments and is currently assigned to civil jury trials in the Santa Monica Courthouse. Extensive teaching experience includes serving as an adjunct professor to Loyola Law School teaching trial advocacy, guest lecturing at the FBI Academy in Quantico, Virginia, and teaching fellow judges and bench officers statewide for the Center for Judicial Education and Research of the Judicial Council of California. 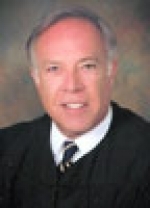 The Honorable Harold W. Hopp is a presiding judge at the Riverside County Superior Court in Riverside, CA. Judge Hopp was first appointed to the bench in 2005. Prior to that he was a litigator focusing on business litigation and employment law. Judge Hopp is also a member of the Judicial Council of California and has served on several judicial committees in California. Judge Tillmon has participated as a panelist and lecturer in numerous continuing legal and judicial education programs. She has participated on many state and national task forces, committees and community education programs. She is active in several professional associations including California Judges Association and is a life member in the National Bar Association, California Association of Black Lawyers (Co-Chair of the Judicial Section), John M. Langston Bar Association and Black Women Lawyers of Los Angeles, Inc. Judge Tillmon has served on the Los Angeles County Superior Court Executive Committee and currently serves on the Los Angeles Superior Court Diversity Committee and is Vice-Chair of the Access and Fairness Committee. Her civic contributions have been recognized by the Sojourn Center for Battered Women and Their Children and the Black Women Lawyers Association of Los Angeles Foundation with their Community Service Awards. From the California Association of Black Lawyers she received both their Judicial Excellence Award as well as the President’s Award. She also received the Cooper-Sandoz Alumni of the Year Award from the Association of Black Law Alumni of the University of Southern California, the Alumnus of the Year Award from the Black Law Students Association of the University of Southern California and a President’s Award from the National Bar Association. Judge Tillmon has served as a judge for the award winning Loyola Law School Young Scholars program for high school students. Judge Tillmon is currently assigned to the Santa Monica Courthouse in the West District of the Los Angeles County Superior Court hearing civil trials. Diana is the Founder and Managing Attorney of Iketani Law Corporation in El Segundo, a boutique firm specializing in litigation, cybersecurity, and data privacy law. Diana has litigated complex matters in federal and state court and administrative proceedings for Fortune 500 companies as well as “mom and pop” shops and individuals. Diana previously served as a volunteer temporary judge for the Los Angeles Superior Court from 2004 to 2010. She holds multiple certifications in Privacy (CIPP/US, CIPP/E and CIPM) and helps clients comply with complex privacy and data security laws, including the European Union’s General Data Protection Regulation (GDPR) and the California Consumer Privacy Act (CCPA), which goes into effect on January 1, 2020. Prior to founding Iketani Law, Diana was a senior member of the litigation and privacy and data security teams at Manatt, Phelps & Phillips, LLP. Diana is active in the legal community as a lifetime member of the Japanese American Bar Association (JABA) and the Asian Pacific American Women Lawyers Alliance (APAWLA), and as a member of the International Association of Privacy Professionals (IAPP) and the Women Lawyers Association of Los Angeles (WLALA). She was named the 2015 Woman of the Year for the Greater Los Angeles Chapter of the Leukemia & Lymphoma Society and currently serves on the Board of Governors of JABA. Diana received her J.D. from USC and her B.A. from UCSD and has been licensed in California since 1997. Valerie Roddy’s practice focuses on complex commercial litigation including patent litigation in federal courts and before the International Trade Commission, securities litigation, and consumer class action litigation. 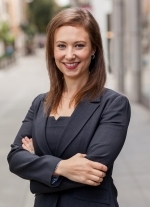 Valerie was named a Southern California “Rising Star” in 2013 and 2014 and a Southern California “Super Lawyer” in 2017 by Super Lawyers Magazine. Judge Richard Ulmer has been on the Superior Court bench in San Francisco since 2009. Just months into his judicial tenure, Judge Ulmer was elected by his fellow judges to the Executive Committee, a small group of judges that sets policy for the Court. He is humbled that 50 of his colleagues have given him their endorsement for his June election for Superior Court. Prior to joining the bench, Judge Ulmer compiled a sterling record in 23 years as a trial and appellate lawyer at two of San Francisco’s pre-eminent law firms — McCutchen, Doyle, Brown & Enersen and Latham & Watkins. His legal skills annually won him recognition from his peers as a "Northern California Super Lawyer," as well as other awards. Judge Ulmer graduated from Stanford Law School with honors in 1986, and won his first trial while still an associate at McCutchen. 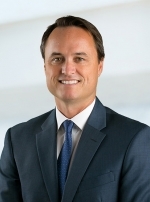 In 1995, he joined Latham & Watkins where he worked closely for former U.S. District Judge Barbara Caulfield and handled complex cases for some of the world’s most innovative high-tech and biotech companies including Adobe, Affymetrix, Apple, Genentech, Lexmark, National Semiconductor, Raychem and Roche. Judge Ulmer also briefed and argued more than a dozen appeals to the courts. He has the rare distinction of having two appellate decisions (both wins) published on the same day. One of these, Schectman v. Pillsbury, is frequently cited in California cases involving stolen documents. His 23-year practice spanned intellectual property, antitrust and unfair competition, appeals and writs, automotive distribution, contracts, employment law, fraud, licensing, international arbitration, prison reform and professional malpractice. The unusually large breadth of experience has served Judge Ulmer well in his time on the bench. 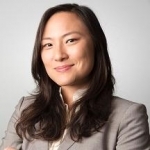 Katharine Chao is a founding partner of Olivier Schreiber & Chao LLP. Kathy represents employees in individual litigation, negotiations, and class actions in both state and federal courts. Her practice focuses on discrimination, harassment, retaliation, wage-and-hour, compensation and whistleblowing matters. Kathy also represents executives and start-up employees in employment contract and equity compensation matters. Prior to founding the firm, Kathy was the principal at Chao Legal in San Francisco and Oakland, where she practiced employment law exclusively on behalf of employees since 2012. Before starting her own firm, Kathy practiced as a defense attorney in the San Francisco offices of Paul Hastings LLP and Nossaman LLP. As a defense attorney, Kathy worked on complex commercial litigation, consumer class action defense, and civil and criminal antitrust matters. Kathy is also an active member of the legal community. She is the Board President of Open Door Legal, a San Francisco-based legal aid non-profit organization. Open Door Legal is pioneering the country’s first system of universal access to legal representation as a method for dramatically reducing poverty. She is an active member of the California Employment Lawyers Association (CELA), where she serves on the Wage and Hour Committee. Kathy also has a significant pro bono practice, including ongoing participation as a volunteer attorney with the Federal Pro Bono Project of the United States District Court for the Northern District of California. While in law school, Kathy was the Senior Articles Editor for the Berkeley Journal of Employment & Labor Law and externed for the Hon. Edward M. Chen of the United States District Court for the Northern District of California. After law school, Kathy clerked for the Hon. Jeffrey T. Miller of the United States District Court for the Southern District of California. Among the honors she has received, Kathy was recently selected as a 2018 Northern California Super Lawyer in the area of plaintiff-side employment litigation, and was also named a Super Lawyers “Rising Star” in 2015 and 2016. 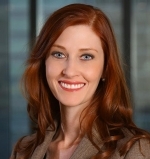 She is a frequent speaker on employment litigation on panels and conferences throughout California. Ryan Erickson is a tenacious litigator who thrives in the high-pressure environment of civil litigation. As a Partner at Lewis & Llewellyn, Ryan brings years of experience representing plaintiffs and defendants in a diverse array of complex disputes. He enjoys combining strategy, grit, and efficiency to best meet his clients’ litigation objectives. After graduating with High Honors from Princeton University, Ryan received his law degree from UCLA, where he was an Editor of the Law Review and selected as a member of the Order of the Coif (top 10% of his class). Ryan began his career in the San Francisco office of Latham & Watkins LLP, one of the world’s premier law firms, where he represented several Fortune 500 companies in high-profile commercial disputes. Since joining Lewis & Llewellyn in 2013, Ryan has secured complete defense victories for multiple clients in bet-the-company cases. Crossing the aisle to the plaintiff’s side of the courtroom, Ryan has secured millions of dollars in judgments and settlements through the successful prosecution of his clients’ claims. By litigating on both sides of the bar, Ryan brings a broad perspective to his practice that enables him to efficiently and effectively address the legal needs of his clients. For four consecutive years, Ryan has been recognized as a “Rising Star” by Super Lawyers Magazine, an honor reserved for only 2.5% of U.S. attorneys. Benchmark Litigation also recently named Ryan to its “Under 40 Hot List,” which honors the achievements of the nation’s “most accomplished legal partners of the age of forty or younger.” In addition to his business litigation practice, Ryan has also earned a reputation as a premier advocate for survivors of childhood sexual abuse. Applying the aggressive and exhaustive approach taken in high-stakes commercial litigation to his nationwide sexual abuse practice, Ryan has obtained numerous multi-million dollar recoveries on behalf of his clients. Along the way, he has become a tireless advocate for the prevention of sexual abuse. Ryan also serves on the Board of Directors of CALICO, one of the largest child advocacy center in California, which serves approximately 700 abused children every year. During his free time, Ryan enjoys competing in the occasional Ironman triathlon and spending time with his family, usually outdoors in their 1991 Volkswagen Westfalia Vanagon. OH General: The Los Angeles version of this program has been approved for 7.25 units of general CLE in Ohio.